REGINA: The Canadian Union of Public Employees (CUPE) is urging the provincial government to implement an integrated, fully public ground emergency medical response system. The government is currently undertaking a system review of ground emergency medical services (EMS) in Saskatchewan. Submissions are due by July 31, 2017. Evidence from the public provincial EMS system in British Columbia shows that this is the most efficient, patient-centred, and cost-effective model for EMS. Furthermore, centralized, public ground EMS can improve services for rural Saskatchewan. 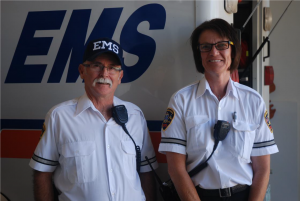 Currently, delivery of EMS in rural Saskatchewan is fragmented among 104 private and regional health authority ambulance services, is poorly coordinated within and among health regions, and relies heavily on volunteer and lowly paid emergency medical responders. The cost to rural patients for ambulance services can be extremely high because of the longer distances travelled to reach a local or urban acute care facility. In urban centres, target response time for emergency services is within nine minutes. In rural areas, 30 minutes is the target, but only 77 per cent of rural ambulances achieved this target in 2015-2016. CUPE is recommending that The Ambulance Act be rewritten to enable the creation of provincial and publicly delivered emergency medical services with the power to develop an effective, provincially-coordinated emergency medical services system with provincial guidelines and standards. It’s Time! CUPE submission to the Ground EMS Consultation on the benefits of a public provincial EMS system.